Welcome To KEITH WHITLEY BLVD.COM. My name is Troy Elder and it is my pleasure to bring you this site as my tribute to KEITH WHITLEY. 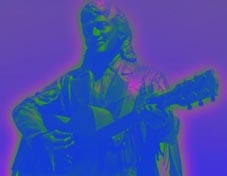 I have spent many hours working on this site and keeping it updated on the latest news in the world of Keith Whitley. You will see personal pictures of Keith taken from The Whitley Family Photo collection. Please sit back and enjoy your cruise down KEITH WHITLEY BLVD. Be sure and sign the guestbook with ANY opinions and/or suggestions. A VERY SPECIAL thanks to EVE MORRIS (co-owner of this site). Without her, there would be no KEITH WHITLEY BLVD.